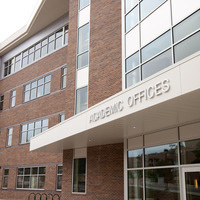 The Academic Office Building (AOB) is located to the South of the Parking Garage near Austin Bluffs. The academic office building and parking garage near austin bluffs, the great connections I ever seen. More college https://www.australian-writings.net/ tips and academic programs on assignment writing thoughts,keep it up. This presentation was so provocative - I learned a great deal about an issue that has global-local implications! I would like a copy of the powerpoint if that is possible. I did not read the entire PPT during the training. It was very informative. Very interesting. Great introduction to how faculty should respond and who to get in touch with if these situations arise. Presenter did an excellent job staying on task. Very good presentation. Perhaps providing scenarios would help understand our roles better.